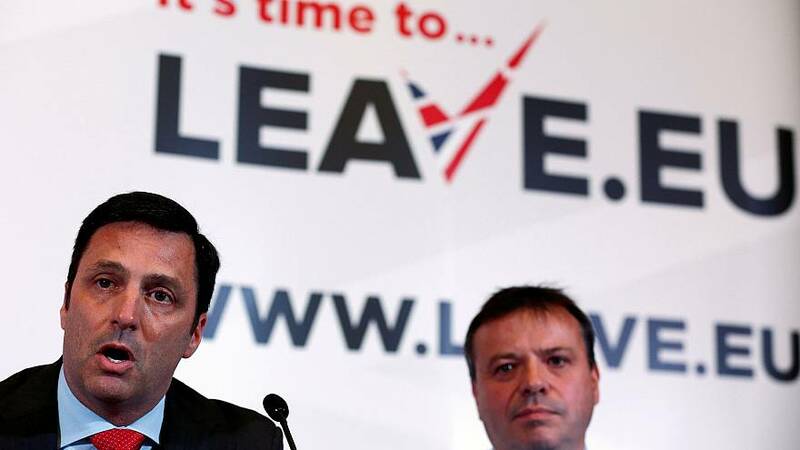 LONDON — British authorities have opened a criminal investigation into a business tycoon over the source of multi-million dollar donations to his unofficial pro-Brexit campaign. 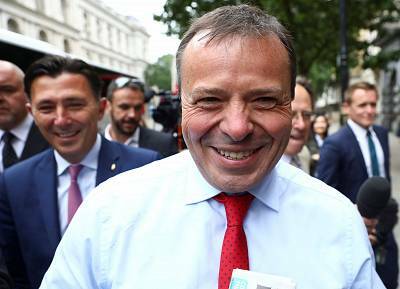 The National Crime Agency — Britain's equivalent of the FBI — said Thursday it was investigating Arron Banks and other key figures in the Leave.EU movement. It follows a months-long probe by the country's Electoral Commission into whether election laws were broken during the 2016 referendum campaign, which saw Britons narrowly vote to leave the European Union. Banks, a pugnacious admirer and associate of President Donald Trump, was the main bankroller of Leave.EU, a grassroots entity separate from the official Vote Leave campaign. The insurance magnate has faced questions over his personal wealth and has admitted repeated meetings with Russia's ambassador to Britain. The Electoral Commission, which can impose civil sanctions for breaches of election rules, said it had "reasonable grounds to suspect a number of criminal offences" and referred the matter to the NCA. In particular, it said, there were reasonable grounds to suspect that Banks was not the true source of $10.3 million reported as loans to pro-Brexit campaign groups. British electoral campaigns are barred from taking money from overseas-based individuals or businesses. "We welcome this investigation as it is an opportunity for us to clear up the matter," Banks said in a statement on Thursday, adding: "No Russian or foreign money has ever come into it." In the June 2016 referendum, 17.4 million votes, or 51.9 percent of votes cast, backed leaving the European Union while 16.1 million votes, or 48.1 percent of votes cast, backed staying, a result that defied opinion polls. Britain will leave the 28-nation customs and trading bloc on March 29. Banks is a close ally of former Brexit leader Nigel Farage and was one of the first foreign political figures to visit Trump after his 2016 election victory. He was in regular contact with Russian officials between 2015 and 2017 and was offered a business deal involving Russian gold mines, according to emails revealed earlier this year by the co-author of his book, "The Bad Boys of Brexit." Banks responded at the time: "I had two boozy lunches with the Russian ambassador and another cup of tea with him. Bite me."